Yo, ho ho and a bottle of rum! 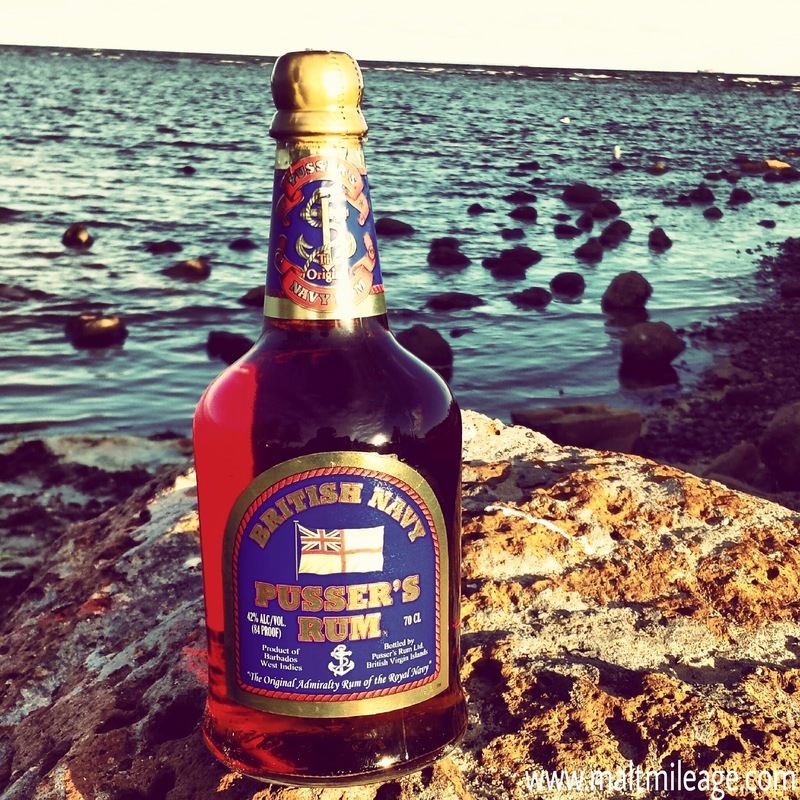 The quintessential navy style rum, Pusser’s blue label is modeled on the rum that oiled the cogs of weary British sailors for a few hundred years. Its centuries old wooden pot still, together with this old Navy recipe (which Pusser’s purchased from the Royal Navy in 1979), makes it one of the best rum buys since Blackbeard, the notorious British pirate, was keeping the lads in the British Navy busy and fully deserving of a pint or two of rum. Lets get to the rum! It is full flavoured with lots of oak driven notes that accentuate and balance the sugary distillate and bursts with notes of coffee, chocolate, vanilla, citrus, cola, spice, turkish delight, toffee, cough drops, molasses and the drying twist of tannin rich wood towards the finish. This is it, me hearties. The Malt Mileage best buy Navy style rum. I hate to sound repetitive, but splice the mainbrace! Nose: Quite light on the nose, the brown sugar develops infused with coffee and dark chocolate as mild surges of vanilla smooth the dry woody pot still notes. Hints of licorice underpin the sugars, together with turkish delight, mild eucalyptus drops and Vicks. I have to say, this is one of the best Navy style rums on the market and it is great to see that Pusser’s are not trading on their name but instead continue producing rum of the highest order. Taste: This rum has a smooth entry that ignites on the palate. Rich brown sugar and denser coffee than on the nose, espresso with lots of brown sugar and a surprisingly delicious nip of Chinotto (cola with bitter citrus) with mild licorice, hits the palate with a spicy twist. There is a solid foundation of vanilla and toffee with herbal and citrus notes, minty and zesty all at once, that brighten up the the smoky haze of wood that begins to develop with intensifying sugar, now molasses, and the slight hint of now rose flavoured turkish delight. Finish: Rich coffee and chocolate notes accompany molasses, as the palate continues to dry with the gradual development of bitter wood notes and associated tanins. This entry was posted in RUM, Uncategorized. Bookmark the permalink.